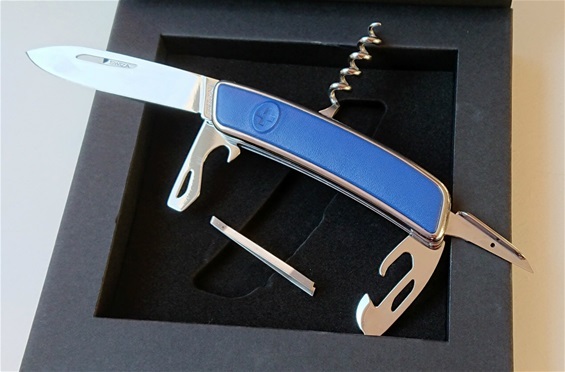 Today i would like to show you a very special knife from the Swiza Company. 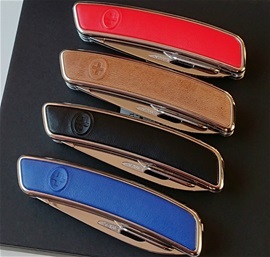 Just a short time ago they released the new leather knife collection with different colors. I had to save some money to get this from a very good friend. 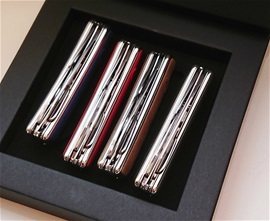 The leather knives incorporate the same standard as the watches. 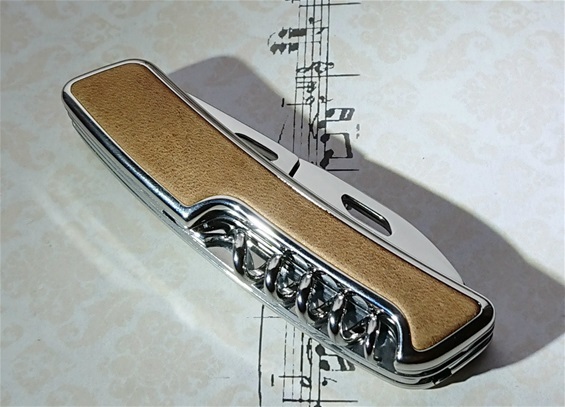 It is the best polished Swiss knife I have ever seen. Every part is super polished with a perfect surface. This is close to a full Custom made product. It is super smooth and with a design that is very pleasing. This is a gentleman type of knife that can fit any Gentleman in the world. The handle got leather and metal construction. Because of the leather this I would categorize it to be for easy use. It is going in my collection of the absolute best knives I have ever seen. It is assembled with perfect skill level. I can see i should have wiped the metal some more a few places from the oils from the hand. It reflects on the picture a bit. Well, it is really like a mirror all over. As mentioned it got a crazy nice smooth opening and closing of all the functions too. You can feel it very well. It was a challenge for the camera. Like a moment of pure luck I managed to buy another D03 Swiza knife. 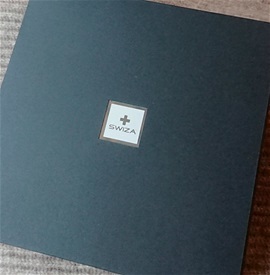 It is one of the absolute high-end categories from the Swiza Brand. 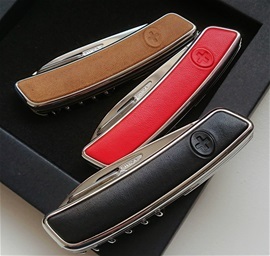 This is a red model "Leather knife" with super polished parts, assembly and highest quality leather. It is a pure delight, absolutely beautiful. 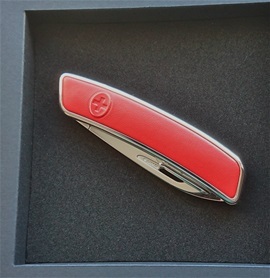 Red is a color that is most synonymous with Swiss knives. The surface on the leather models got an extreme polish, i had to take the picture with very little light. They are absolutely incredible Swiss knives. The best i have seen. 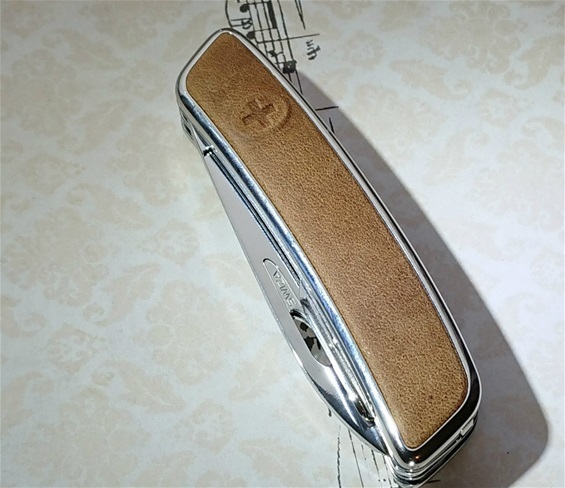 Perfect Swiss knives and i will take good care of them in the collection.